The Soccer Shop is proud to be the official supplier and premier sponsor of New Zealand Secondary Schools Football. 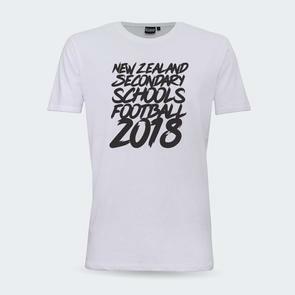 NZSS Boys Football and NZSS Girls Football aims to foster football in secondary schools and to ensure that football becomes a dominant sport in New Zealand schools. The Secondary Schools also play an important part in the development of the game in New Zealand. In addition to organising the annual tournaments NZSS Football also offer international football to those who aspire to play at international level. The experiences gained internationally have played a large part in their development as elite players.